The wind is subsiding as we get another day closer. Down to 12 mph from the 15 mph yesterday. Not freaking out. Laughing a little but not freaking out. I'm getting more excited every day!!! Good. Don't freak out. Laughing is what you should be doing. You have enough to concentrate on just making it to the Start. If you run out of things on what to concentrate, just concentrate on proper planting of your feet during the taper...especially when you're just walking around. No need for a sprain at this point. Looking at the Canadian forecast for Hamilton, they drop any mention of the word "Windy" in their forecast for Saturday and Sunday. You just need to figure out what an average wind for Hamilton is. And the rain chances retreat to what could be a CYA 30% chance of rain. Overcast and temps between 41 and 48, with a dry cleaning bag as a poncho, and that looks like great weather to me. No sun beating down on you! 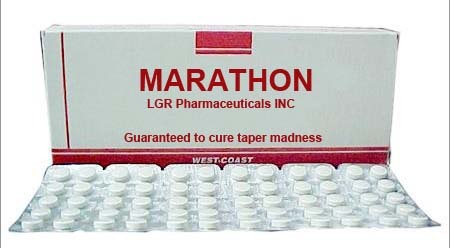 Take another anti-tapermadness virus pill and see me in the morning. Those do look like good running conditions, Nick. Cool and cloudy makes it a lot easier to sustain a blistering pace for 26.2, and a cooling breeze helps, too! Excellent! That's exactly where you want to be at this point. 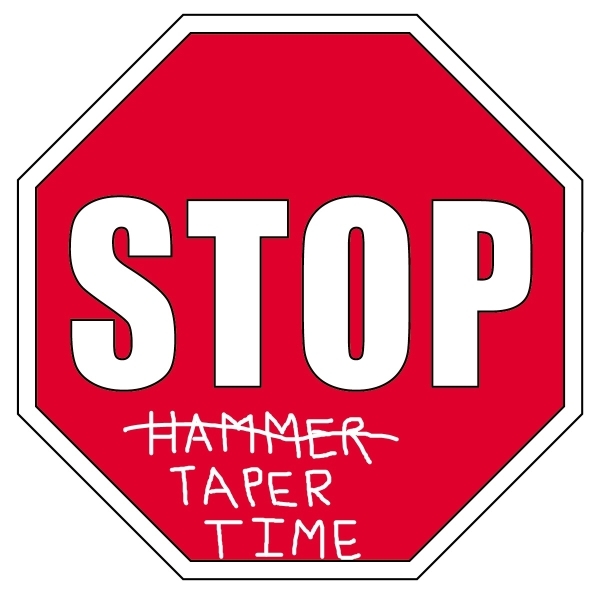 You never feel more alive than you do in the midst of taper madness. Just 4 more days until the Lakefront 50/50 and I am undertrained and still have a niggling injury. A high of 47 and low of 31 with 16 MPH winds, it will be a very cold start. The lakefront doesn't have any features to block wind. @Jim Lentz wrote: Just 4 more days until the Lakefront 50/50 and I am undertrained and still have a niggling injury. A high of 47 and low of 31 with 16 MPH winds, it will be a very cold start. The lakefront doesn't have any features to block wind. Make sure to tuck in behind a group of runners. I will make sure they are big runners. I hope it's > 32, or that the wind is only coming from the West, or you may have some ice!! My experience is that only a 1 ton box truck or larger is capable of blocking that much wind. Just make sure the box truck has its bib on the grill. You're going to need a bigger truck. Jim are you running the 50K or 50 miles? Crazy Nick. I will be running a half Sunday. Not look forward to it. @Jerry wrote: Crazy Nick. I will be running a half Sunday. Not look forward to it. Come on Jerry...You can do it!!! Check it out Nancy...The wind forecast keeps dropping It's down to 10 mph. @Nick Morris wrote: Check it out Nancy...The wind forecast keeps dropping It's down to 10 mph. Ha, 30% means that it is not going to happen. Only when they forecast 40% or higher does it actually rain. Two years ago, I ran Dallas in cold rain. Shower cap was the only thing I did right. 3:00:09. I regret very much not wearing my running rain jacket, but you are a northerner and may have better cold tolerance.